The UNECE PPP Business Advisory Board under the chairmanship of James Stewart, the former head of PUK and currently Chairman of KPMG's Global Infrastructure Practice, was formally approved by the UNECE Executive Committee on 30 April 2014. The vision of the UNECE PPP Business Advisory Board (BAB) is to implement PPP solutions to promote the UN Sustainable Development Goals (SDGs). · Assist Member States with the implementation of international PPP best practices and standards through high-level consultative meetings. 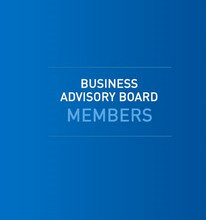 The expected duration of the Business Advisory Board is until 31 December 2020, with the possibility of extension. Mandate and Terms of Reference of the PPP Business Advisory Board. The private sector will play an important role in the work of the Centre in establishing best practice and helping governments implement the best possible projects. Of all groups the private sector understands the need not to just to do PPP, but to do the very best in PPP, that is, projects which can generate sound rates of return and at the same time have the best socio economic impacts. The private sector‘s main role in the Centre will be performed within the UNECE PPP Business Advisory Board (BAB). Advise the International PPP Centre of Excellence on the elaboration of international best practice and standards. Assist Member States with the implementation of international PPP best practices and standards through high-level consultative meetings. • Evaluate the good governance practices as set out in the guidelines. Such meetings will be held with senior level government officials to discuss the results of PPP readiness assessments undertaken by the UNECE Working Party on PPP. The goals of these meetings is to remove barriers in the enabling environment to PPP and to provide an initial ‘road testing’ of the countries proposed project pipeline. Key outcome of these activities will be a report including an implementation plan and an action plan provided to the national government on behalf of the UNECE ICoE and its Business Advisory Board. James joined KPMG in May 2011 as chairman of KPMG’s Global Infrastructure practice. In his role he has visited over 40 countries to discuss their infrastructure investment programmes. Prior to joining KPMG, James was Chief Executive of Infrastructure UK and before that Chief Executive of Partnerships UK. In these roles James has been at the centre of the UK Government’s thinking on PFI and PPPs and has had a significant involvement in many of the major projects and programmes in the infrastructure market; eg Crossrail, LIFT, Building Schools for the Future. James was responsible for the publication of the UK’s first National Infrastructure Plan. He is a Fellow of the Institute of Civil Engineers and a member of the World Economic Forum Infrastructure Global Agenda Council. Since the establishment of the UNECE Team of Specialists (currently Working Party) on Public-Private Partnership, the idea to create a body that bring private sector expertise to the UNECE PPP capacity-building programme was greatly supported by the Member States of the ECE region. 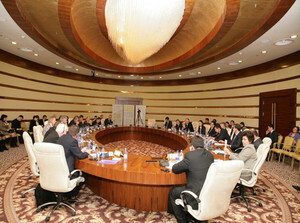 In 2009 the UNECE PPP Business Advisory Board was established under the chairmanship of Sir Adrian Montague and held its first consultative meeting in Astana (13 March 2009) back to back with the Second Astana Economic Forum. With the setting up of the International Centre of Excellence on PPP in 2012, it was decided that the Board be reconstituted as an advisor to the Centre and to individual national governments. The UNECE Executive Committee approved the establishment of the Business Advisory Board at its Sixty-eighth meeting, including its mandate and term of reference. The Business Advisory Board (BAB) will consist of a number (20 to 30) of distinguished business persons who are recognized for their outstanding contribution to the development and use of public-private partnership either in their respective countries or worldwide. Nominations for the Advisory Board can be made by delegates participating in the UNECE PPP work and by Member States. Representatives from international organizations working in the area of PPPs (including the Asian Development Bank, the European Bank for Reconstruction and Development, the European Investment Bank, and the World Bank) will be invited to participate in BAB meetings and contribute their expertise as observers. Selection of nominees will be carried out in such a way as to provide comprehensive coverage of key issues and sectors. The nominations will be reviewed by the Governing Body of the UNECE International PPP Centre of Excellence (ICoE), which will make recommendations to the Executive Secretary. The Executive Secretary will appoint the Chairman and the Members of the BAB for a period of two years, with a possible extension of an additional two-year term for a total of two consecutive terms, subject to review by the Governing Body of the ICoE. Members will not be remunerated. Chairperson will be nominated by the UNECE Executive Secretary and will be rotating on biannual basis. The Board is accountable to the intergovernmental Bureau of the Working Party on PPP and works under the UN rules and procedures and is a consultative not a legal body. 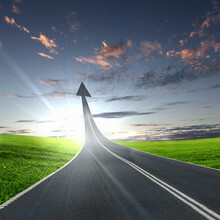 The UNECE PPP Secretariat will manage day-to-day activities of the Advisory Board. The Advisory Board will report to the Bureau of the Working Party on PPP on annual basis. The average amount of time expected from a board member and his/her alternates to undertake the tasks of the Advisory Board: 14 days (including work with the readiness assessment reports, national implementation plans/action plans). UNECE Secretariat welcomes support from the Member States in managing and coordinating of the Advisory Board activities.